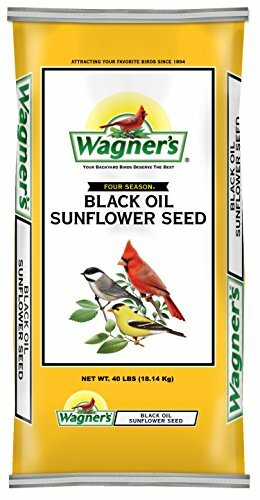 Wagner's Four Season Sunflower Seed is 100% black oil sunflower seed. Sunflower seed is the favorite seed of most wild birds. It is high in energy and has a thin shell making it easy for all birds to consume. Use tray feeders or hopper feeders to attract sunflower loving songbirds. Cardinals, Chickadees, Finches, Nuthatches, Woodpeckers and much more. Trust your backyard birds to the experts at Wagner’s.